Chinese navigation satellite BeiDou-3 is scheduled to be launched in July 2017, according to its developer, China Aerospace Science and Technology Corporation (CASC). As reported in January by People’s Daily, a publication of the state news agency, the company claimed that six to eight satellites will be deployed within the year. China has completed the construction of the BeiDou-2 system consisting of 14 BeiDou satellites and 32 ground stations. The launch of 18 satellites in the global coverage constellation will be completed in 2018 to guarantee basic service for countries along the Belt and Road route. By 2020, 35 BeiDou-3 satellites will have been sent into space, providing service to users around the globe. 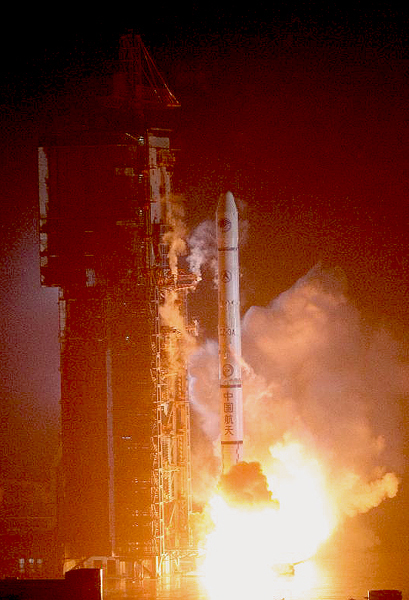 In addition to expanded coverage, the BeiDou-3 is expected to provide greatly improved performance. Its life span reportedly can reach 12 years. Five experimental BeiDou global navigation satellites have been launched since 2015, according to Guo Shuren, assistant to the chief engineer of the Beidou-2. Based on experimental verification, a basic plan for the BeiDou-3 satellite system has already been confirmed, Guo added. China is striving to complete a PNT (positioning, navigation and timing) system with the BeiDou, in a bid to improve its spatial-temporal information services. For more information on earlier BeiDou launches, click here to check out an Inside GNSS article from last year.